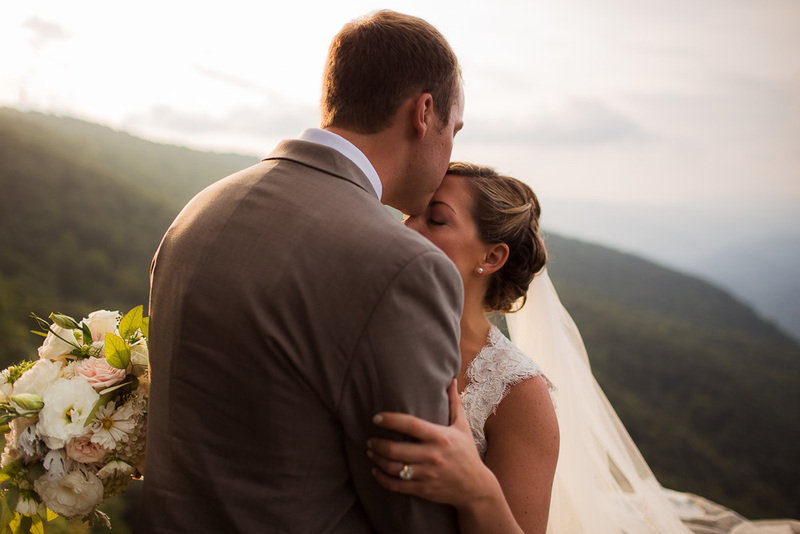 Caitlyn & AJ were married at the Twickenham House in Ashe County, North Carolina, which is near the quaint, mountain town of West Jefferson, NC. This is a quintessential North Carolina mountain wedding location. Complete with cliffside views, creeks, wooded trails, and even an open prairie at the site of an old settler's cabin where only the original stack rock chimney still stands- making a perfect setting for an intimate outdoor wedding ceremony. "Enchanted" is the word we would choose. The house itself provides elegant locations for cooking, wedding preparations, private parties, and even a secluded movie theater.